Bryan and Holly got together to talk about the little things. You know, the small moments that are hardly noticed in the films that you love anyway. Whether its Piett's headcock to have Ozzel cleaned up or the splintering of that tree on Endor, these are extra little moments that add to the spice of Star Wars. Bryan and Holly took a look at the little things about the four Disney era films, but talk about all of the Star Wars movies in the process. 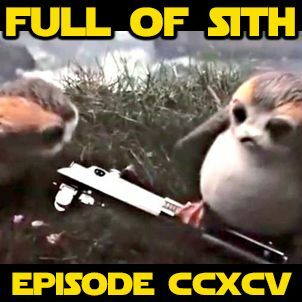 If you haven’t already, join our new ... See More Facebook group and join in the discussions with us and other listeners at – http://facebook.com/groups/FullofSith If you like the show, please leave us iTunes/Stitcher reviews and share us with your friends and family! We’d greatly appreciate it.